Keeping your business safe with sprinkler systems! 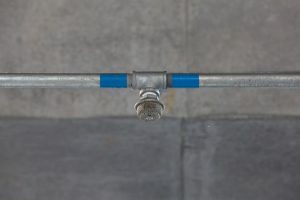 Building owners in particular need to understand how important it is to be vigilant and proactive in terms of ensuring that your sprinkler system is working properly and in good condition. Depending on the number of repairs business owners end up spending on broken sprinkler systems, sometimes it may be beneficial to replace your entire system. Considering every situation is different, business owners need to understand all that they can about sprinkler systems to make the most informed decision on the best ways to ensure that their sprinkler system is working at an optimal level. Business owners first need to examine the age of their building and sprinkler system, before deciding the best solution for fixing their sprinkler system. If your building has a dry system, there is likely to be a significant amount of corrosion within the pipes. Corrosion is enhanced by the increased amount of oxygen found in dry system pipes. As a result, pipes that are corroded could lead to even more damage as well as the potential to replace the entire sprinkler system. However, to avoid needing to replace an entire sprinkler system you can begin to take steps as soon as you notice them that can fix the problems before they become too severe. Business owners should be vigilant and proactive when it comes to repairing and maintaining their sprinkler systems. A regularly maintained sprinkler system will ensure that your business and employees are protected in case of a fire emergency. There are a variety of affordable ways that you can begin to change your sprinkler system. If your sprinkler system has a severe issue that can only best be solved by replacing the system, then spending money on attempting to fix the sprinkler system may cause you to spend a lot more money. Depending on the extent of the damage to your sprinkler system, it could be more cost-effective to simply replace the whole thing. This entry was posted on Friday, February 17th, 2017 at 12:44 pm. Both comments and pings are currently closed.